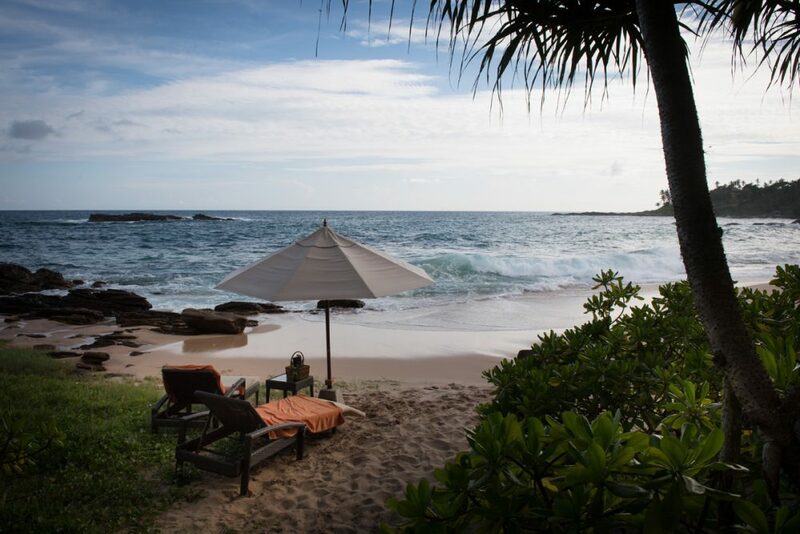 The beach is only a small slice of the experience at Anantara Peace Haven Resort in Tangalle, Sri Lanka. 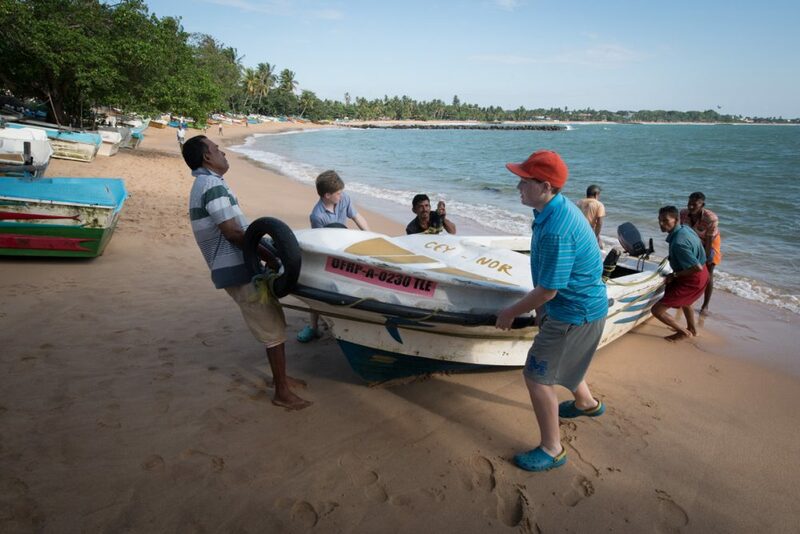 Local fishermen deliver fresh-caught fish to the beach daily. Hotel guests help pull in the boat. 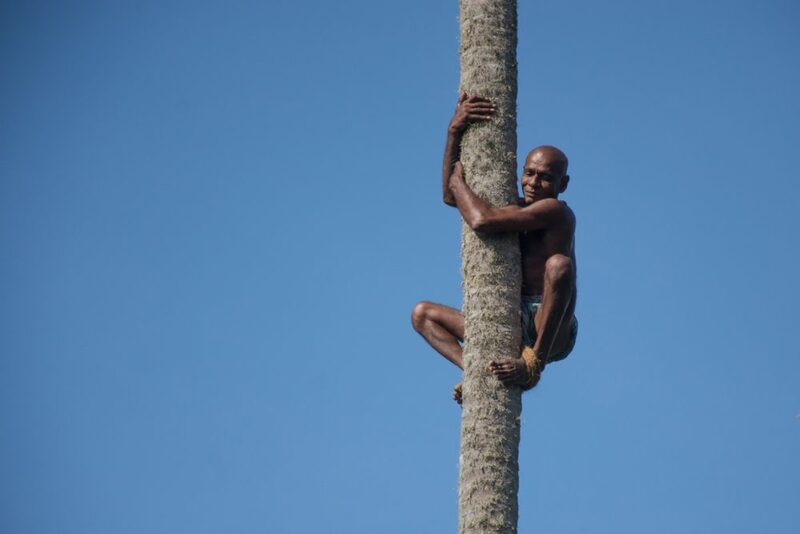 The hotel has a “coconut guru” whose job is to climb to the tops of 100-foot-tall swaying palms, prune them, and cut the coconuts down. 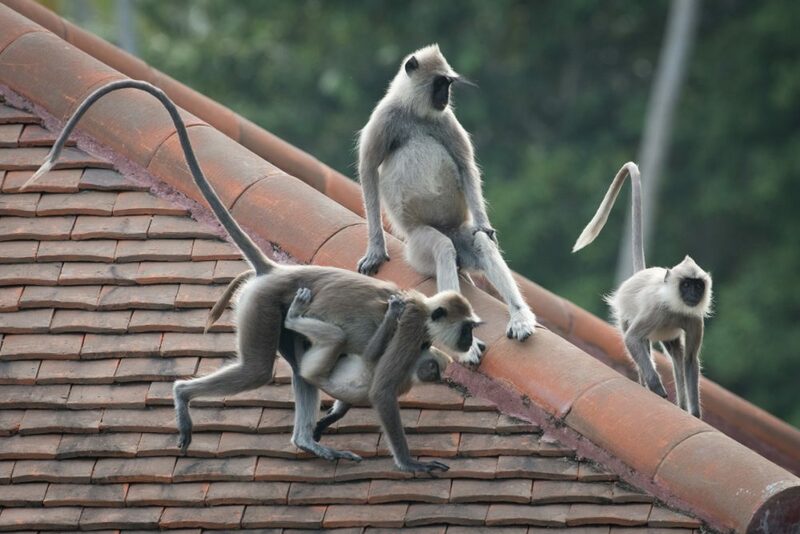 It’s like watching a circus act. He does it daily. 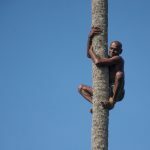 He’s the most physically fit 57-year-old I’ve ever seen. 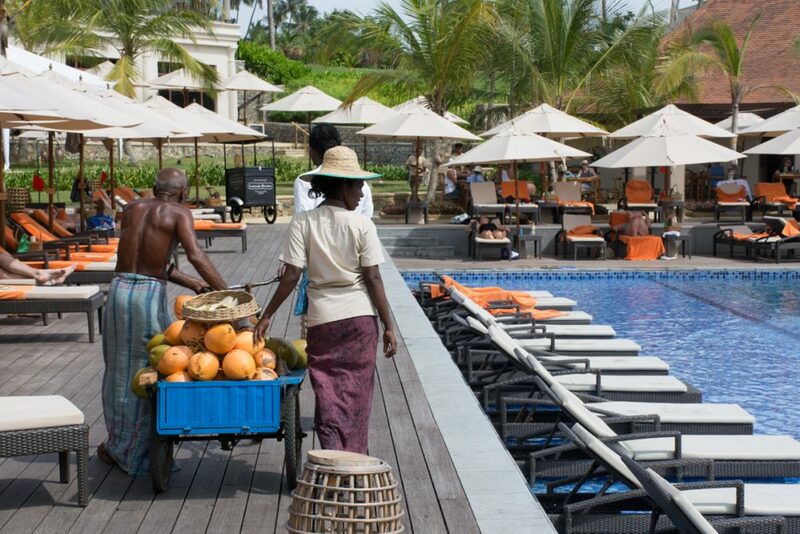 The “coconut guru” brings his haul to the pool, where the coconuts are chopped open and served with straws as poolside drinks. 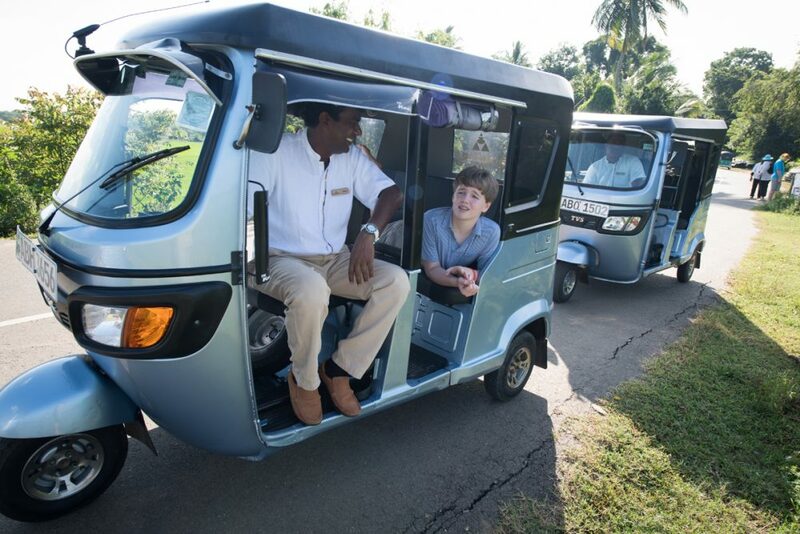 The hotel has a fleet of tuk-tuks for taking guests wherever they want to go in and around Tangalle. 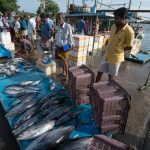 One of the resort’s chefs took us to the pier in Tangalle to show us the fish market where he shops for seafood. The boats here are extremely heavy. My sons were drafted into helping the fishermen at the pier haul their boat ashore. On the roads it’s not unusual to encounter a herd of water buffalo, or a flock of ducks, or sleeping dogs, or an entire family on a motorcycle. The chef took us to rice paddies and vegetable markets so we could pick up supplies for a cooking class. 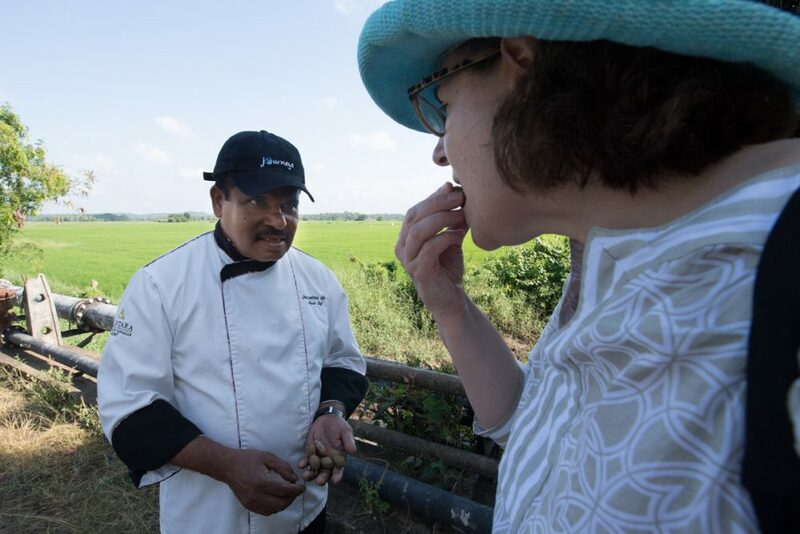 He picked fruit off roadside trees so I could taste it and try to guess what it was. This was tamarind (which I never would have guessed). It was pretty tart. Back at the hotel, with the ingredients we’d bought at the markets, we had our cooking class and learned how to whip up lunch Sri Lankan-style. 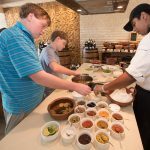 The number of spices they use in each dish is impressive. 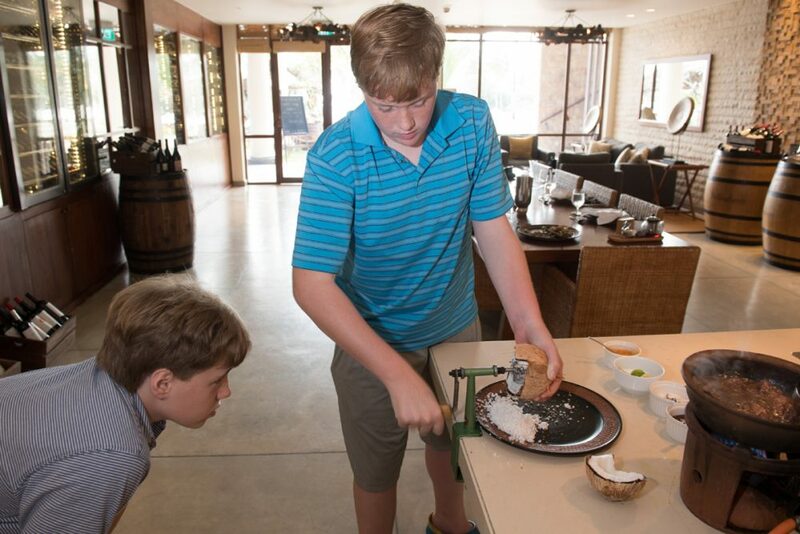 Coconuts are a big part of Sri Lankan cuisine, and this is how you grind one. 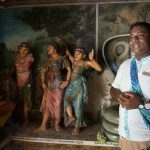 We loved Kanishka, our resort’s resident “experience guru.” He’s thoughtful, caring, and very proud of his country. He knows everyone in the area, so he was able to introduce us to the variety of people we asked to meet. Kanishka took us to temples so Doug could get info for a school project on Buddhism that was due about a week after our trip. 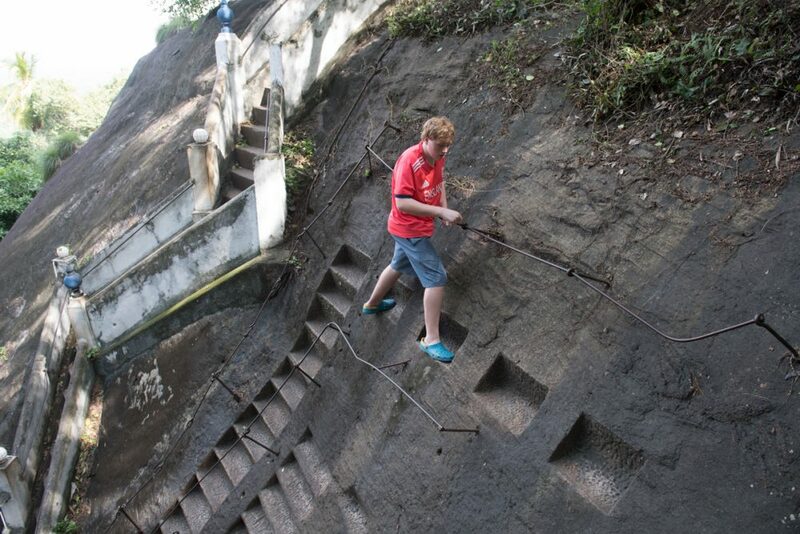 This is how you get to the 3rd-century temple that sits atop a 670-foot-tall rock. Atop the sacred rock temple, Doug received a blessing. 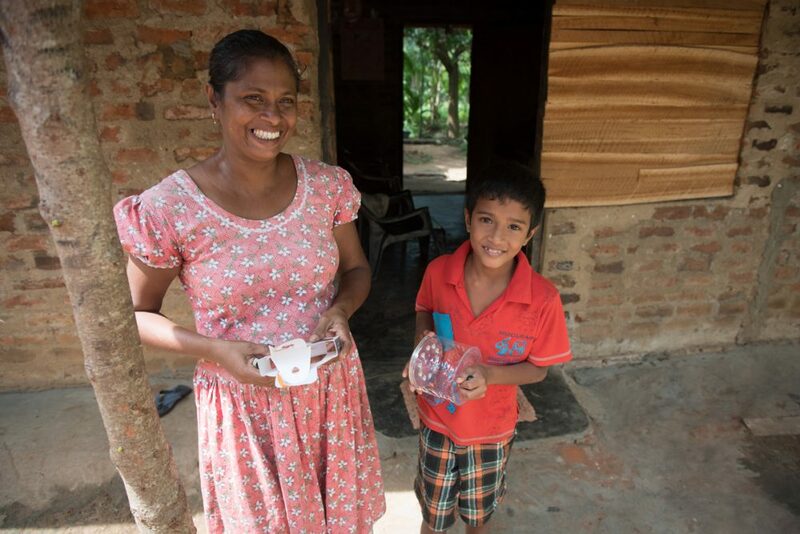 In one village, Kanishka introduced us to a family who invited us into their home so we could see how they live. 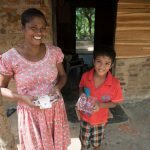 We left them with a few dollars (enough, it turns out, for rice for their family for a month) and a couple of Luci Lights—inflatable, solar-powered, re-usable lights that last a long time and never need batteries. Bath time at the lake. 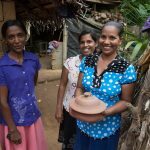 When we were curious to see how the local ceramic pots are made, Kanishka took us to visit a family of pottery makers. 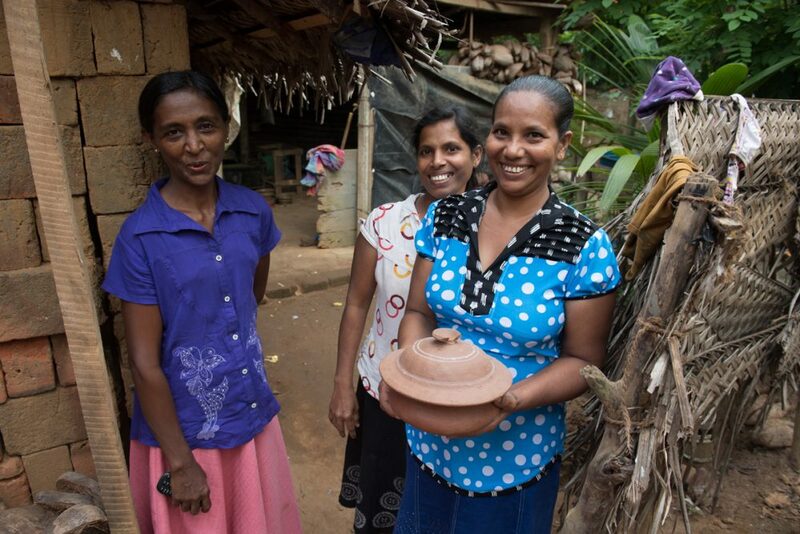 These women demonstrated how to throw a pot and showed us their kiln. We asked to buy this pot with a broken lid. They begged us to take one with a perfect lid, but we preferred this one with character. There were a lot of kids in the pottery makers’ family compound. Charlie brought smiles when he picked up their hula hoop. 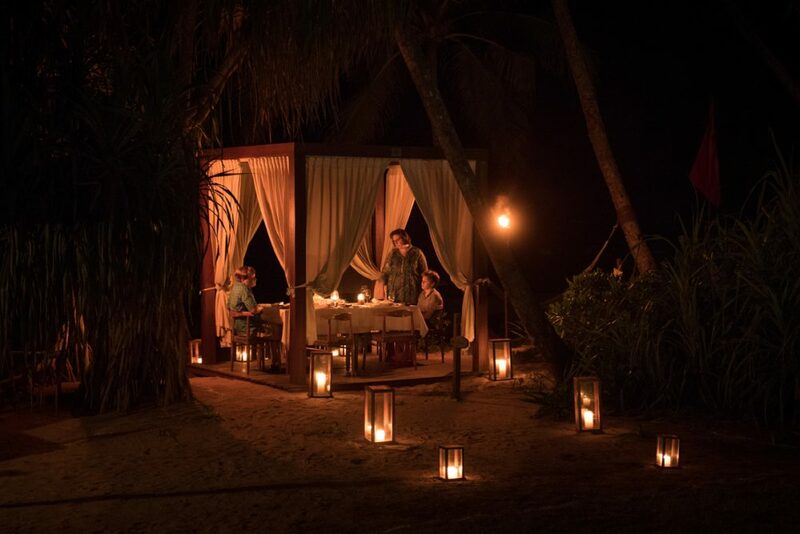 After long days of adventuring, it was nice to come back to our hotel beach for things like this private candlelit dinner. All too often, big beach resorts wall travelers off from their country’s culture. 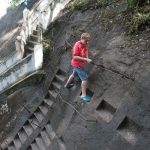 That’s why many of us opt for small inns and guest houses, assuming they’ll make it easier to dive into the local scene. 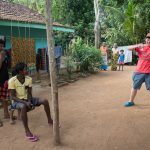 When I was headed to Sri Lanka, though, small inns were not going to cut it. Not with teens in tow and Wi-Fi for work a necessity. 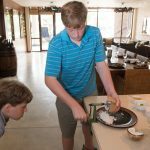 We needed a pool, a beach, easy food options, and other conveniences and facilities that are hard to find in a developing country—unless you’re at a big luxury resort. 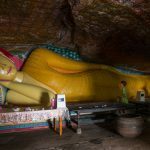 At the same time, we refused to be trapped in a bubble; we planned to spend most of each day adventuring around Sri Lanka and immersing ourselves in the culture. 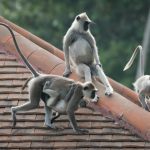 Luckily, we ended up with the best of both worlds—on Sri Lanka’s southern coast, at the Anantara Peace Haven Resort, built on a former coconut plantation in Tangalle. 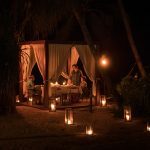 It was such an unusual blend of comfort and authenticity, in fact, that I’m writing this article in hopes that other beach resorts will take note and get inspired. 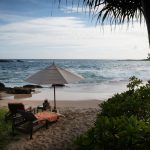 Opened in December 2015, the Anantara in Tangalle is one of the first big beach hotels ever to be built in Sri Lanka, a still-unspoiled tropical-island nation that has suddenly become hot and, consequently, suddenly has plans for a wave of hotel construction over the next few years. That’s why I wanted to go now—before the country gets overbuilt. 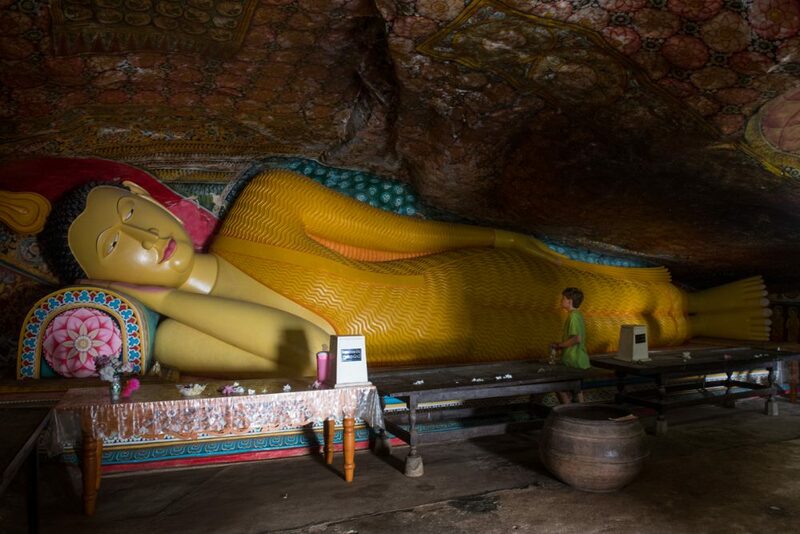 Our goal was to see lush landscapes, taste exotic flavors, get close to wildlife, visit villages and temples, and meet as many interesting people as possible—all during my children’s one-week school break. 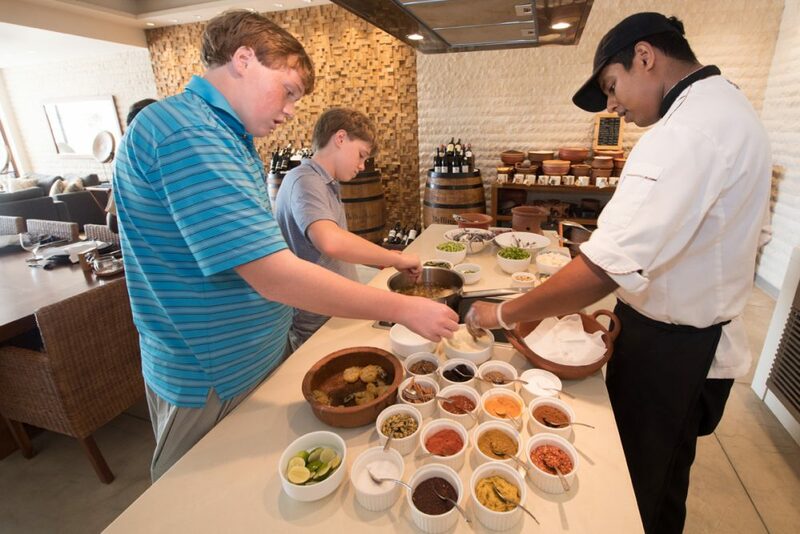 Anantara made all of this happen and more—because it’s on a mission to serve as a gateway to the local culture. To see how, click through the slide show above and on the videos below. 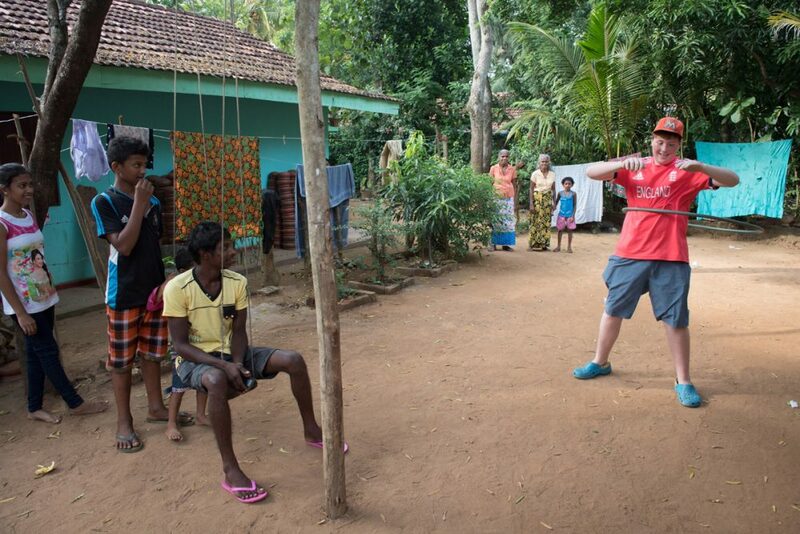 And if you’re thinking about a trip to Sri Lanka yourself and looking for advice, click to Ask Wendy. 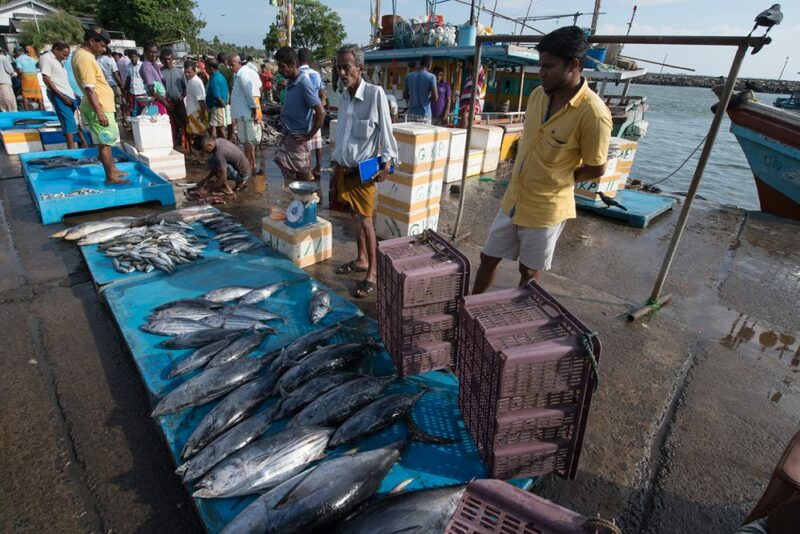 Every morning local fishermen arrive on the beach at the Anantara Peace Haven Resort to deliver their catch. Guests help pull in the boat and choose the fish they’d like the chef to prepare for them later that day. 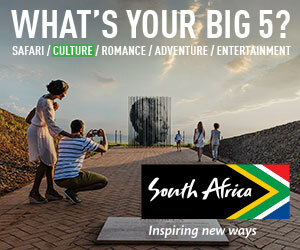 Since the kids love wildlife, the resort arranged an excursion to an elephant orphanage and to Udawalawa National Park. Check out this elephant who gave himself a bath mere feet from us. This colorful vegetable market sits on the road between Tangalle and Udawalawa National Park. 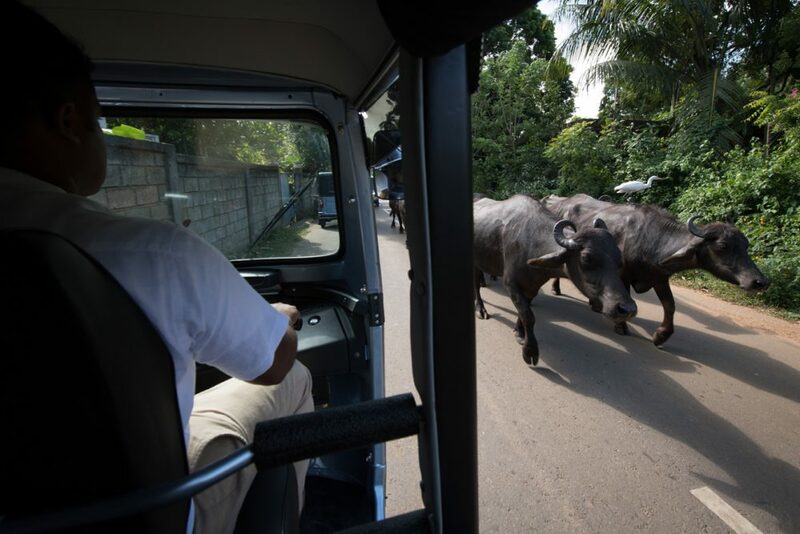 Note the absence of other tourists—something we experienced a lot in Sri Lanka. I’m glad we went when we did! Be a smarter traveler: Use Wendy’s WOW List to plan your next trip. You can also follow her on Facebook, Twitter @wendyperrin, and Instagram @wendyperrin, and sign up for her weekly newsletter to stay in the know. Portugal is Suddenly Hugely Popular. This Is Why.